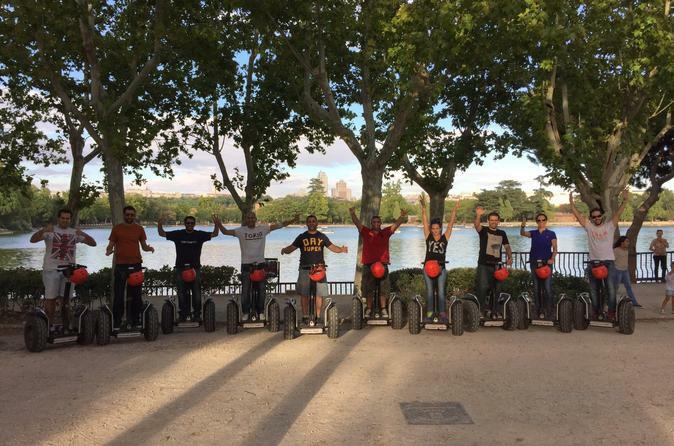 Discover Madrid’s largest park on this 2-hour Casa Campo off road Segway tour. Enjoy sunshine, fresh air, and lush greenery while covering plenty of ground on your Segway. Pull over to snap photos of this beautiful urban green space on this fun sightseeing tour. Choose your own speed as you zip through Casa Campo, Madrid’s largest park. Zip up and down the pathways, covering as much ground as you can, or meander at a slower pace, taking two hours to linger in your favorite spots. Explore Casa Campo’s greenery on the X2 Segway, a model suited to a variety of terrains. Balance is key, so start your tour off with a practice loop. Once you’ve mastered the technique, set out to discover all the park has to offer. Gather your friends to enjoy the experience of a Segway SUV in scenic Madrid. This tour is suited to groups of 12 or more.